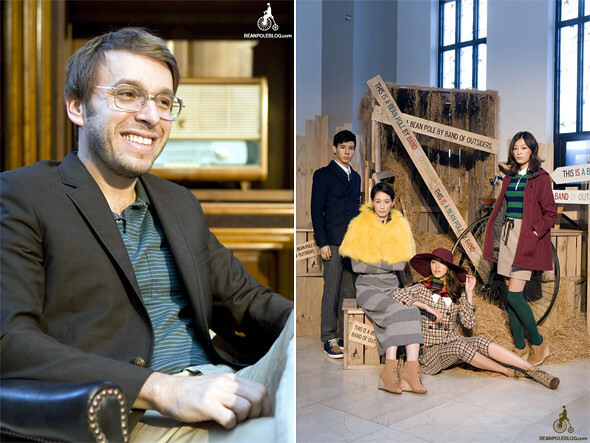 Bean Pole recently collaborated with Band of Outsiders on a collection which was presented on September 30, 2010 at the Famoso. 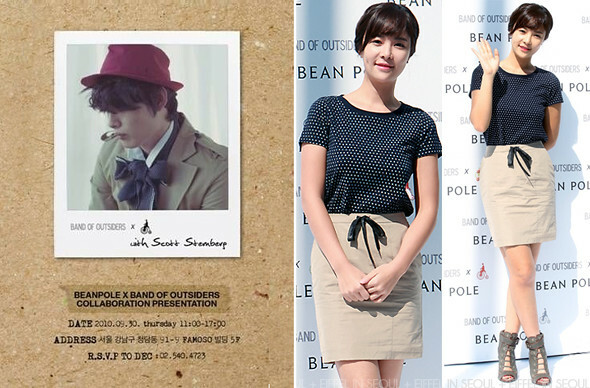 Stars like Hwang Jung Eum (황정음), DBSK's Jung Yun Ho (정윤호) and No Min Woo (노민우) were present at the presentation. Hwang Jung Eum (황정음) - I love her simple outfit but shame about those shoes, they look too heavy for the outfit. Jung Yun Ho (정윤호) - How his sweater was buttoned is so weird, why would his stylist want to show the button of his pants which he wore so high up?! The outfit looks like what a grandpa would wear. 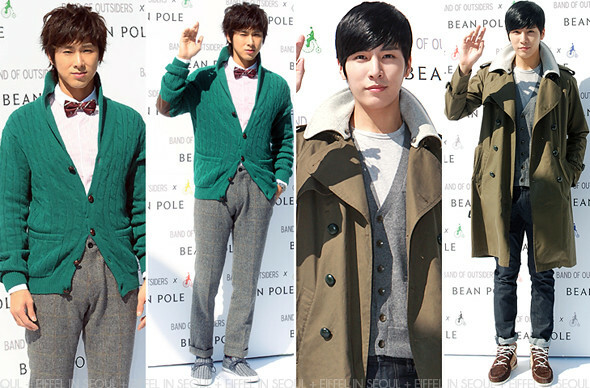 No Min Woo (노민우) - He definitely looked better than Yun Ho but I'm not a fan of how his jeans were folded. Anyways lots of guys in Korea fold their jeans, from what I observe on the streets. I'd rather they just leave it down.